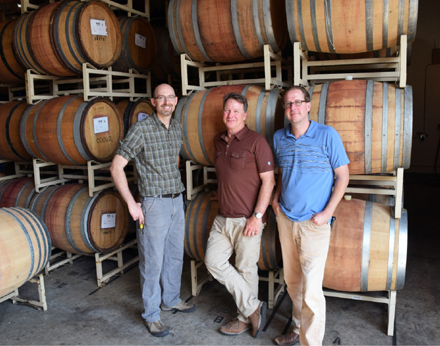 Dundee, Ore.—Travis Proctor is the new production winemaker at Dobbes Family Estate Winery and Wine by Joe. Andy McVay has also been promoted to associate winemaker for Dundee Vintners, the custom crush operation of the company. Other staff changes include: Lauren Barnes has been promoted to marketing director, Kristen Rice added as marketing coordinator, Michele Dupont is the new direct and on-premise sales manager and Matt Daley and Paxton Roy have been appointed tasting room supervisors. “We are growing in all directions, and I am exceptionally proud of all that we’re accomplishing,” said founder, president and director of winemaking and viticulture Joe Dobbes. Dobbes Family Estate and Wine by Joe are part of the Bacchus Capital Management portfolio.